To get the most out of your hair extensions, it is important to remember these proper maintenance routines and daily upkeep tips. 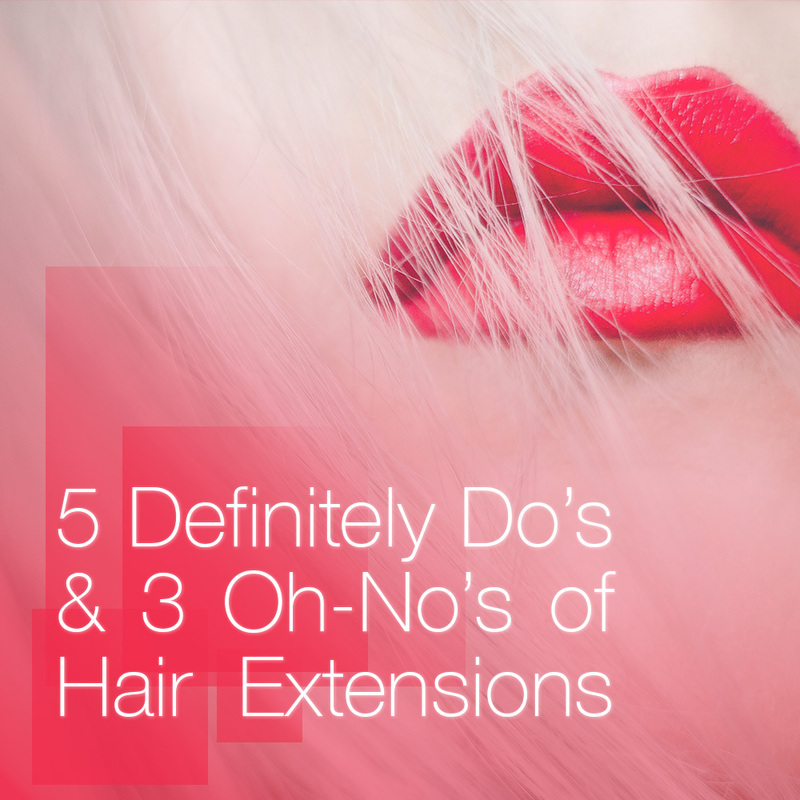 The better you take care of your extensions, the longer they will last! Failing to follow these steps will result in matting, tangling and possible damage of natural hair, yikes! Keep your hair growing long and strong while maintaining extensions using these useful tips. DEFINITELY DO avoid products with sulfates. Even for those without hair extensions, sulfates can be especially irritating to the skin & scalp and can be damaging to the bonds & hair. For best results, take care of your extensions using products from the Di Biase Hair Extensions hair care line. DEFINITELY DO brush and finger through your hair every day. To make sure hair does not get tangled or matted, run your fingers through your hair on a daily basis. Also make sure to use a special brush with gentle bristles of varying length and texture anytime you brush your hair to prevent extra pulling on the bonds. DEFINITELY DO sleep in a braid or low ponytail. To avoid matting, always put hair in a low ponytail or braid when you are lying down. This keeps your hair all in the same direction and will prevent tangles. DEFINITELY DO focus on washing your scalp and condition only your ends. Another benefit of having extensions is that you don’t have to wash your hair every day! When you are washing, focus on shampooing your scalp (gently and carefully) and then conditioning only the bottom end and tips of your hair. DEFINITELY DO continue doing the active things you love! The beauty of Di Biase hair extensions is that the fine, durable and waterproof bonds allow for free flowing movement no matter what you’re doing. Whether you are working up a sweat in the gym or doing laps in the pool, you can be sure that Di Biase extensions will keep up with whatever you choose to do. Oh No! DON’T go to bed with wet hair. When going to bed, make sure that your hair is fully or almost dry, as you can cause damage to your natural hair. Going to bed with wet hair causes it to mat and tangle which can lead to natural hair damage which can be easily avoided. Oh No! DON’T put oil on or near your scalp. Oils will loosen your bonds and might cause extensions to start sliding out. If applying oils to nourish and moisturize your hair, focus on the lower end and tips especially. Di Biase offers a line especially for taking care of extensions, which can be found here. Oh No! DON’T color or cut your own extensions. Although you might be tempted to color or cut your own hair, this is best left to professional stylists who are experienced in coloring extension hair. Coloring and cutting extensions is different on extension hair than it is on natural hair. It is especially crucial to remember to NEVER bleach your extensions. Color is deposit only.